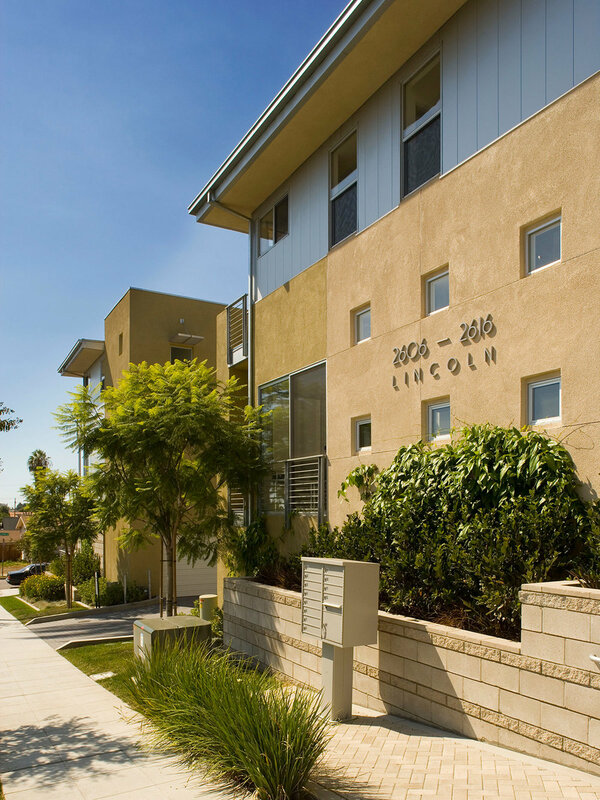 Built in the North Park area of San Diego by Jansen and investors, Hamilton Row was one of the first true “row home” communities, i.e. the units appear attached but are separated by double walls and have fully independent roof and operating systems. Thus, there is no common area expense or HOA for the owners or developer. Completed in 2005, the 21 homes are mostly 3-bedroom, 3.5 baths, averaging 1,350 sf plus a private, accessible two-car garage. Having a full bedroom and bathroom on the ground-floor garage level make these homes uniquely versatile. The contemporary yet contextual infill project earned Jansen the first Community Vison Award presented by the County of San Diego and San Diego Architectural Foundation, which recognizes and promotes Smart Growth -- collaborative, sustainable and green building practices in revitalizing urban areas.